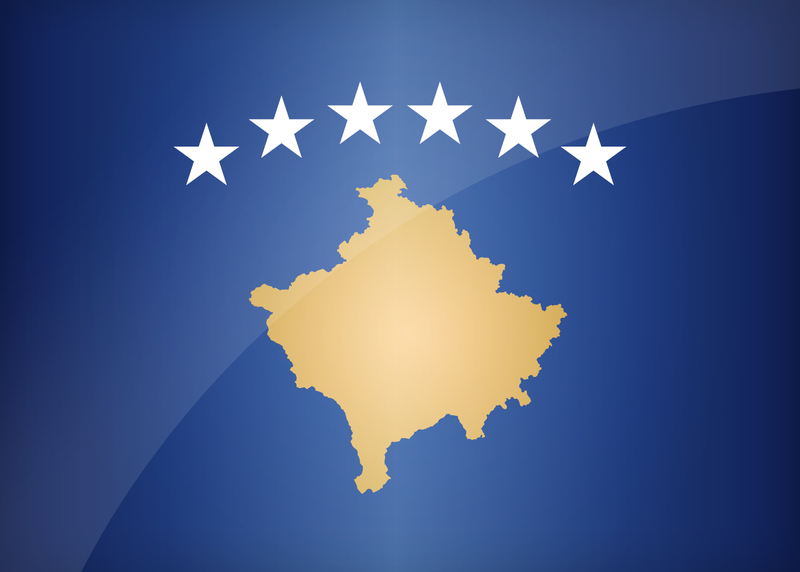 The flag of Kosovo was adopted on 17 February 2008. It consists of a blue background on which the country is represented in yellow, topped with six white stars. For the latter, it is close to the flag of Bosnia, although here, the stars represent the six countries hosting Albanian ethnic population (Albania, Greece, Kosovo, Serbia, Montenegro and Macedonia). With the flag of Cyprus, the flag of Kosovo is the only one in the world to use its map as an heraldic symbol. It is the Assembly of Kosovo who chose the flag from more than 800 proposals submitted in a competition organized in 2007. You can download it in different sizes, in a decidedly modern design for your personal use, or for wider use. Kosovo's flag is available in 4 different sizes. Resolution: Icon Size: 200 x 143 px - Blog Size: 500 x 358 px - Website Size: 800 x 572 px - Wallpaper Size: 1500 x 1073 px. Keywords: Flag kosovo wallpaper, Kosovar, Republic of Kosovo, National kosovar flag, banner, pictogram, country, icon, Kosovo icon, international, Pristina, Pristina, Prizren, Vushtrri, Gjilan, Europe. This page has been viewed 3458 times.